Directory: Dev Shed >> Tools >> Impt. Impt: All possible collisions like "Impt Glass_Shard", "Impt Grenade", "Impt Projectile". 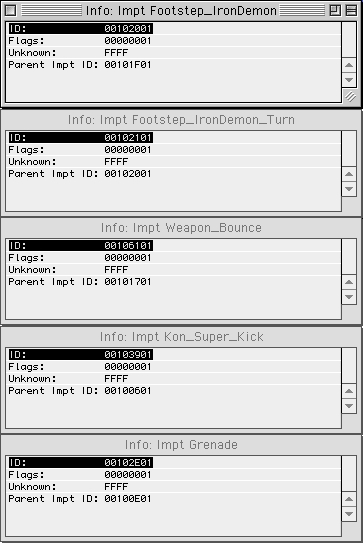 Impts have a parent Impt, i.e a grenade would be a projectile.